Automobile accidents are extremely frightening events that can impact the lives of virtually any person at any time. While no one ever wants an automobile accident to happen, it is important that any person driving a car knows what to do in order to take care of themselves after an automobile accident. Even the smallest accident such as a fender bender, a parking bumper to bumper collision, or an accident happening at less than 5 miles per hour, can all cause serious damage to the body, even if you don’t feel it at first. 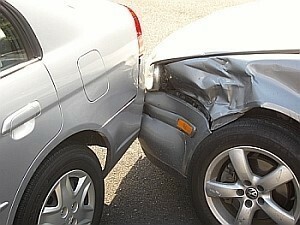 This type of damage can lead to lifelong pain and discomfort or more serious injuries, if it is not treated properly. This is why it is so important to understand the benefits of chiropractic care following an automobile accident. Here are some important reminders to keep in mind about visit a chiropractor after an accident. It is important that you visit a chiropractor as soon as you are able to following an accident. Even if you don’t think your injuries are particularly severe, it is important that you get in to see one of these professionals ASAP. This will not only help you get on the road to recovery right away, but for insurance reasons, it is important that you have your current condition on record with a medical professional as soon as possible. Many times, people feel slightly sore in the first few days following an accident, but it isn’t until a few days later that they really start to feel the pain. Even if you don’t feel a great deal of pain right away, you still need to visit a chiropractor to make sure there hasn’t been a more serious injury. You may not feel a great deal of pain at all, but many times whiplash related injuries cannot be seen externally, and the effects of these injuries may not be felt for some time. You may have disc injuries, subluxations or soft tissue damage that can end up causing you a great deal of pain in the future. These injuries can heal with scar tissue and end up hurting years later or cause more serious problems. Your chiropractor will be able to assess the damage from your accident and make sure you get the help you need. Car accidents typically cause injuries known as whiplash injuries which can cause major stress on the neck, back and spine and cause serious injuries. Due to the amount of stress that the body undergoes, even with a slow accident, whiplash can cause major damage. Remember, that while cars are designed to handle a certain amount of impact, our bodies typically can’t handle the same type of force. With this in mind, it may not be a quick fix in order to get all of your pain under control and all of your injuries resolved. It is important that you follow and stick with your doctor’s prescribed treatment plan. It will not only help you insurance wise, but it will make certain that you are getting the care you need to fully recover from your automobile accident.